This week in Vainglory News, we have the Vainglory Maxbob hero spotlight, the new Clownwalker skin, more unfortunate departures from esports, the Challenger Battles format, SEMC’s 2018 roadmap, the Battle Royale Event results, and our recent favorite community content. 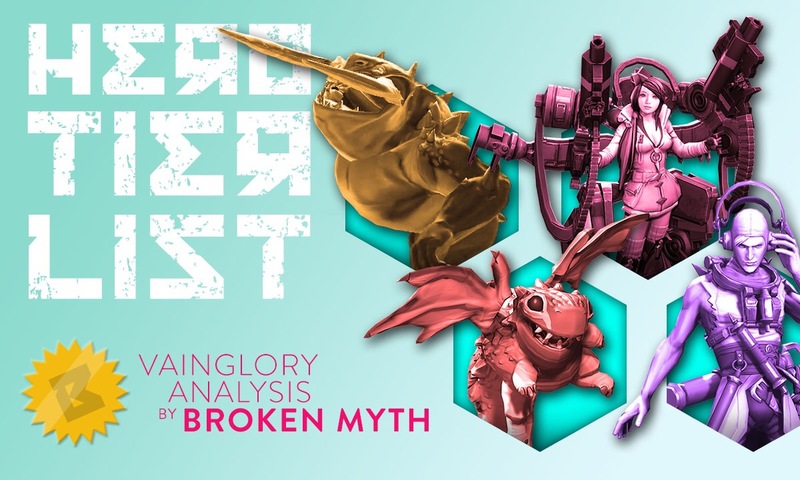 Read on to see what you’ve missed in Vainglory News! Maxbob. The name says it all. Something as simple as a guy named Bob, taken to the max. With abilities like Kick and Punch, and a perk called Run, you’d think he’s just a guy punching trees; but let 80956 damage change your mind. Although actual results may not be as devastating, he’s definitely no slouch. Being a guy from another dimension and born at the beginning of April, you’d expect nothing less. Oh, and we’ll let you figure out if Maxbob is real or fiction. Churnwalker sees his very first skin in the Rare Clownwalker. The skin had earlier been teased and is now official. With an overhauled model—arguably worthy of more than a Rare title—it’s definitely worth the purchase in Update 3.2. 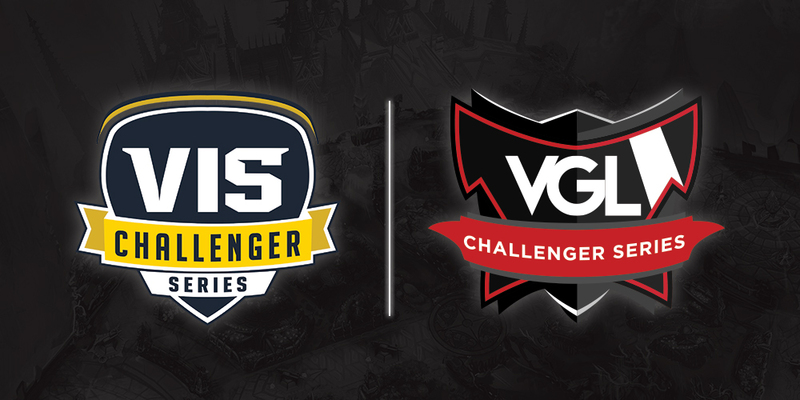 With the Vainglory Premier League kicking off in about a week, SEMC has announced the VPL Challenger Series for the NA and EU regions. After Tournament 4 concludes, the top 4 teams (based on points accumulated from all Challenger Series tournaments) will enter an online, single-elimination qualifier to determine which 2 teams move on to the Challenge Battles. If you wish your team to participate in the Challenger Series, keep in mind that the selection criteria factors in each player’s average MMR/Skill tier and the team’s/player’s past performances. Over the past week, some of the biggest names in Vainglory have disbanded their teams. These include Gankstars, SK Gaming, Detonation Gaming and Misfits Gaming. They’ve all seen great success in Vainglory on International and Regional levels, and will be sorely missed. Keeping the community informed, SEMC has released a statement outlining their roadmap for the year 2018. In short, they will focus on key systems, rewards, progression, and quality of life for all players, making sure competitive gameplay continues to stay fresh and innovative with new game content. Some key elements include voice chat, displaying your mastery on each hero, rewards for being less toxic (and better punishment for trolls), and lots more. It’ll be exciting to see how these play out over the year, and we can’t wait to hear more. 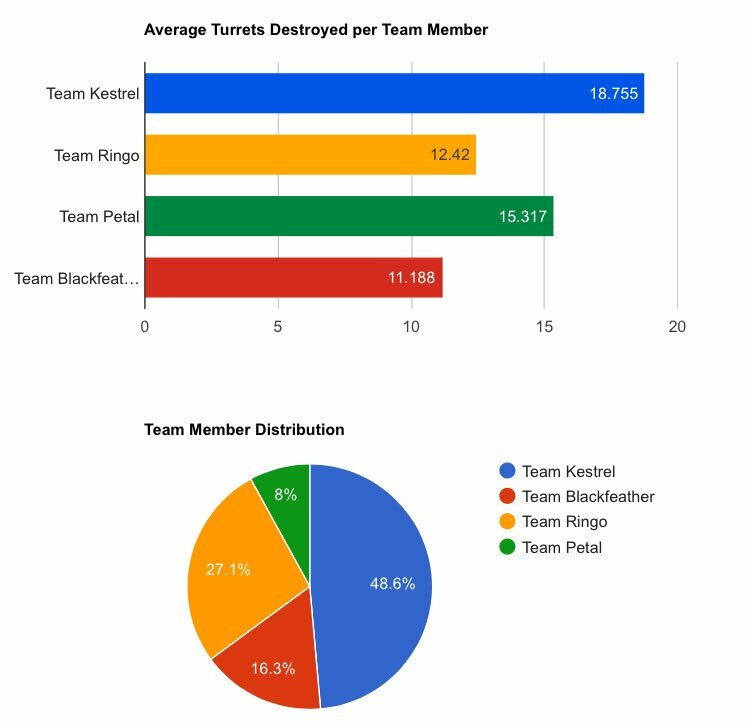 The Battle Royale BRAWL Event has concluded, with Team Kestrel winning by a huge margin with an average of 18.755 turrets killed per team member. Not to take away from Team Kestrel’s victory, but it’s worth mentioning that Team Petal, with the lowest team member distribution, placed second overall. 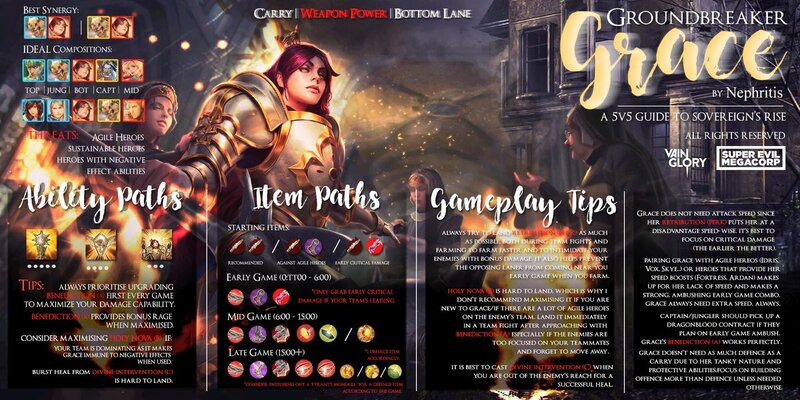 This week in community content, we have our favorite submissions from the recent “Vainglory Guide” contest. To have your own work featured next week on Broken Myth, submit your content or suggestions to us via email. 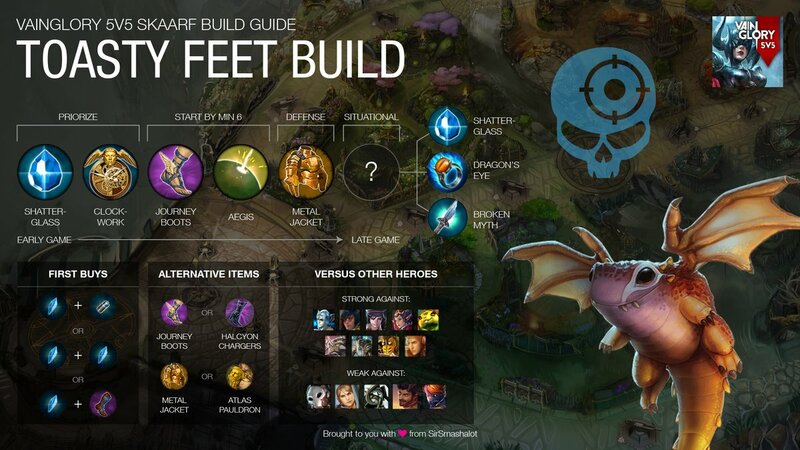 Smash submitted a Skaarf build guide, also mentioning heroes that do and do not play well against Skaarf. Jade created a build guide for Grace alongside a background to fit the theme. 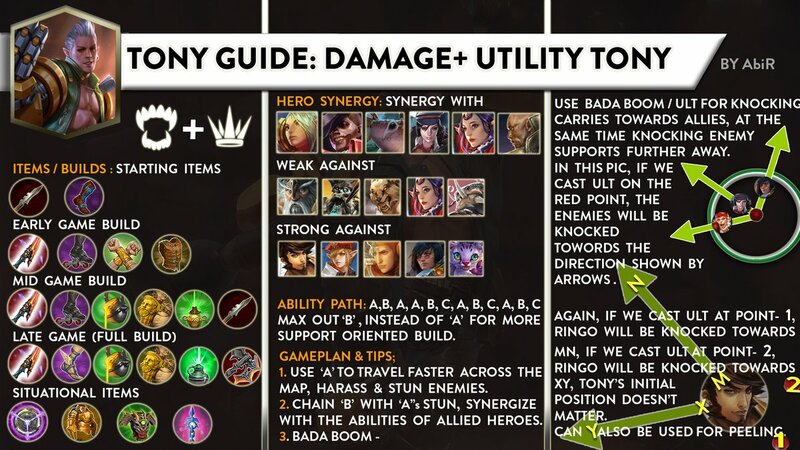 AbiR gave us a Tony build guide with detailed gameplay tips for maximum Bada Boom action.